Capitol® Brand Adhesives and Sundries have been a mainstay for the professional floor covering installer since its inception in 1986. 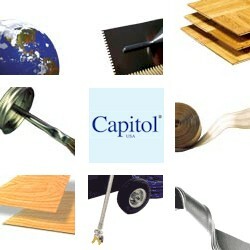 As part of the QEP Co., Inc. Family, Capitol is a part of one of the leading manufacturers of adhesives for the flooring industry. With the Saf•T Series, Fast Series and Woody Series leading the line-up, the Capitol Brand offers a wide range of adhesives.